Angel Card Reading for December 2016! 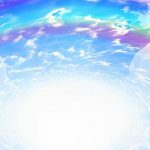 Free Angel Card Reading For December 2016! This is the message you’ve been looking for – because when you feel stuck, it’s an energetic sign that you aren’t vibrating in alignment with your authentic best self. This angel card reading will you help clarify your authentic, heart -centered path in life. Then you’ll connect with the joy and love to manifest your authentic best self. Like this video? Subscribe on YouTube for FREE here! Connect with the messages and guidance from the angels for the month of December 2016 in this free angel card reading with the Ask Angels Oracle Cards. Got Your Angel Cards Ready? In this angel card reading, we use the Ask Angels Oracle Cards to tune into the guidance, messages, love, and healing frequencies that the Angels have for us right here and now. First – let’s go ahead and tune into the best guidance for us right here and now by calling in the Angels using the Ask Angels Oracle Cards which you can find on Amazon, on the Android Store, or on the Apple Store. Remember, anytime you begin a reading, you want to surround yourself with light to raise your vibration. When you call on the Angels, they always answer, and then it’s up to you to raise your vibration to a point where you can tune into their guidance and messages. Angels, what guidance do you have for us now amidst the new moon energy and for the month of December, 2016? I just got the intuitive nudge to draw three cards. I’m going to shuffle the cards, tuning into the light that’s all around, and tuning into the presence of Angels by focusing within. I’m imagining light all around these cards as I shuffle, looking for the right cards to emerge. Two cards just jumped out together, and then I'm going to draw our third card which caught my attention. Okay, our first card is “Clarity with Archangel Gabriel” which is so perfect, because right now is the new moon. This new moon is a point in time where we’re about to enter into a cycle of supercharged manifestation. Clarity at this time means two things. You get that clarity is by taking some time to step back from being so busy, from constantly doing and reacting. Take a little bit of time just to focus within, just to breathe and connect with your heart. Connect with your authentic vibration and ask the Angels to come in, to cut cords tying you to other people and places and past situations. Ask the angels to help you let go of past energies and emotions, and in this moment, to help you become clear in your authentic vibration, to reconnect with the essence of who you authentically are. From this place, you’re able to get clear about what you really want to experience, detaching yourself from other people’s vision for your life. You’re letting go of other people's ideas about what it is you should do, and who you should be, and reconnecting with your inner knowing of what is right for you. You’re being clear in your energy and in your authentic vibration and with your intention to manifest blessings in your life moving forward. And as we move forward the Angel’s guidance, we have our second card – Archangel Ariel with joy and love. This is also perfect for you right now, because once you’re clear in your energy and clear about what you want to manifest, the most powerful vibrational tool you have is to let joy and love be your guide. Let joy and love fill your vibration, and let joy and love protect you energetically. When you get into a state that is lower vibrational, you can become a magnet for more lower vibrational experiences. But when you are completely surrounded with joy and love, that joy and love acts as a sort of protective barrier. Being in alignment with joy and love also brings you into vibrational alignment with manifesting blessings in your life that are aligned with that clear intention you set. It’s so important as you head into this holiday season to keep yourself surrounded with joy and love and to bring a lightness from within towards all of your encounters. There's so much potential now to heal, to manifest, and to create blessings in your life. Being infused with joy and love is the way that you do this. But What If I Feel Fear? If you feel tied to past experiences with family members or past experiences that have led to beliefs that life is hard, that life is challenging – let all of that emerge and let yourself love what appears. Love yourself through it, so that you can release the fear and insecurity and past pain and let joy and love guide you forward. If you find there are areas of reality coming up that you want to resist, that you want to challenge, that you want to fight, let this message of joy and love help you as well. Surround yourself with an aura of light. Why? Because in this Angel card, you can see the that Archangel Ariel has the sun all around – a golden aura of peace and positivity. Ariel is showing you how to create the greatest change in your world – not through resisting the struggle, not through resisting what is, but by raising your vibration with joy and love. And when you notice hardship in the world, send joy and love in that direction to surround dense energies with light, with love, with joy, to neutralize the density and to pave the pathway for humanity to move into greater joy and love collectively. Your third card is with Archangel Ramaela who is looking towards the future with an open heart and a clear mind. This is a reminder to just stand in your authenticity, in your joy and light. Through radiating joy, through being joyful and loving and laughing freely…. But you will also need to through step back, relax into being, and go with the flow of the universe to draw those blessings towards you. Be in joy and love. Open your heart to the moment, to the miracle of life. And when you do, when you stand in that joy and light, there are so many blessings that can align with you. Believe that all of life – the universe, the divine, the Angels, are conspiring to help bring your dreams into reality. Trust the universe, listen to your inner guidance, and take action. There are huge opportunities this month, but don’t let that overwhelm you. Because the way to seize these opportunities is to stay in a state of lightness, a state of joy, a state of bliss. Give yourself permission to be joyful, to let go of needing to hold onto the areas that are challenging. Send love, be love, be light. Raising the vibration of your life creates a ripple effect reaching out far beyond you. By being clear in your authenticity and standing in vibrant joy and vitality and love, know that you are supported by your entire team of guides and Angels, by the entire universe. Keep returning to love, to light, to joy. There’s so much opportunity for you, manifesting one step and one moment at a time. Keep returning to joy, returning to love, and surrounding challenges with the energy of joy and love to neutralize dense energy. Continue to lift higher, to shine brighter, to heal, to ascend, one moment at a time. With joy and love in your heart, know that you are supported, you are guided, you are blessed, you are loved. 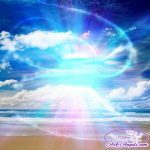 Keep focusing inward to tune into the specifics, the specific action steps that your Angels are giving you, guiding you further into your highest vibrational state, one moment and one step at a time. I hope this was was inspiring for you. Getting clear about what you want and getting clear about who you really are will help you move forward with joy and love in your heart. Want to learn to Intuitively Read Angel Cards for yourself?… Click Here! Or you can learn more about the Ask Angels Oracle Cards here! Thank you Melanie, you are so inspiring, love listening to you. Joy and love to you. Thank you Melanie for yet another inspiring reading. Every time I listen to you reading it seems to resonate with what I personally am experiencing. Sending you light and love! Nice. Thank-you for your messages. You are a force for good. Thank you for your beautiful words they are so inspiring and full of love. Thanks for showing the way for a lighter way. Thank you very much for your card reading! I love to hear your peaceful voice. I was getting a little bit worried about my unstable job, but when I started listening to you, I felt more relaxed and confident. Can you tell me how can I get a card deck like yours? Thank you so much Melanie! Your readings and videos are truly inspiring and I tell people about you! Love to you and yours this blessed season! Thank you Melanie, I needed this guidance from the angels. Feeling the love and light vibrations you radiate through your messages. Love, peace, joy and happiness! Thank you, thank you, thank you!